"The more that you read, the more things you will know. The more you learn, the more places you'll go!" ~Dr. Seuss, "I Can Read With My Eyes Shut!" Today (March 2nd) is Read Across America Day and March is National Reading Month. 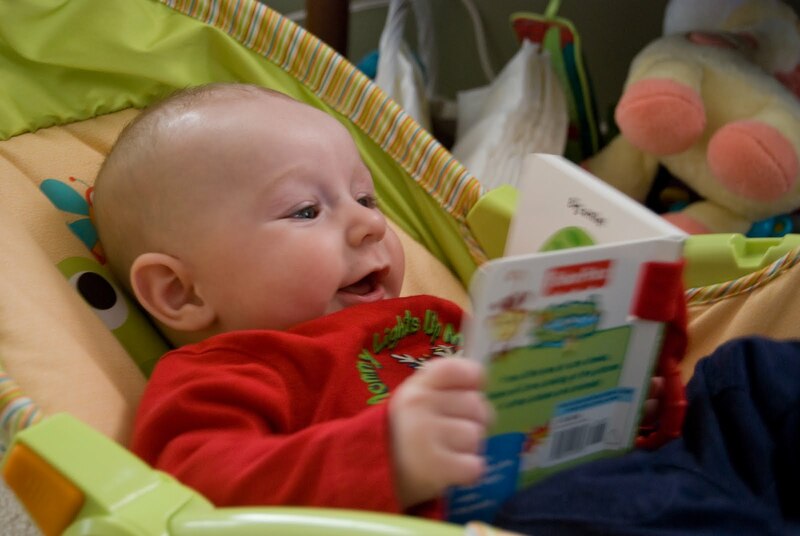 Ethan's been enjoying reading since he was just a wee little thing! Reading is a very important at our house, and Ethan constantly has board books spread out all over the floor. Now that he's a little older, it's fun that Ethan likes to read to us too! What are your children's favorite books? ?